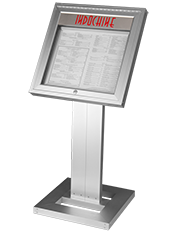 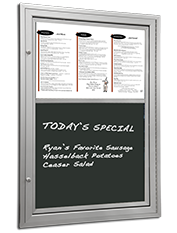 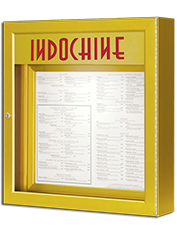 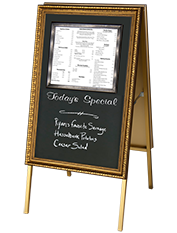 Restaurant menu displays are wall mount and freestanding displays that are used to enhance and showcase a restaurant menu. 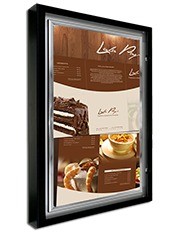 The 3 freestanding units and 3 wall mount units are simply examples of how a restaurant menu can be displayed to highlight what is being served. 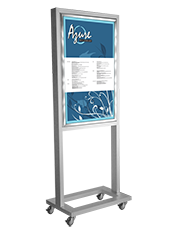 These units can be made to accept any size menu or menu reproduction and can be customized and themed to meet any and all requirements.